Lawrence N. Taub has been representing local and national developers, builders, businesses and property owners in land use and zoning matters for over thirty years. Mr. Taub represents his clients before administrative, legislative and judicial bodies to obtain all required approvals for a wide range of developments, including mixed-use and transit-oriented projects, retail centers, office complexes, single-family and multi-family residential developments, senior housing projects, private schools, religious institutions, sand and gravel mining operations, and solid waste facilities. His practice includes such land use matters as rezonings, special exceptions, subdivisions (including preliminary plans, variations and final plats), master plans, sectional map amendments, variances, departures from design standards, basic plans, comprehensive and specific design plans, conceptual and detailed site plans, zoning ordinance text amendments, nonconforming use certifications, validations of permits issued in error, water and sewer category changes, building/use and occupancy permit issues, and defense of zoning violations. His extensive knowledge and experience enable him to develop comprehensive and cohesive strategies to assist his clients in obtaining the governmental approvals needed for their projects. 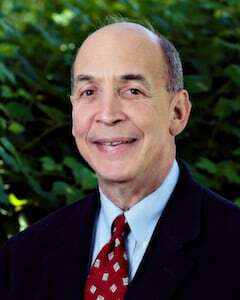 After beginning his professional career as Associate General Counsel to the Maryland-National Capital Park and Planning Commission, Mr. Taub has had many years of experience in private practice representing clients before the Prince George’s District Council, the Prince George’s County Planning Board, and other state and county administrative agencies, as well as municipal governments. He is also accomplished in handling appeals of land use matters before the Circuit Courts, the Maryland Court of Special Appeals and the Maryland Court of Appeals. Mr. Taub has represented numerous projects over the years, notably including FedEx Field (legislative and zoning approvals for the Washington Redskins); the Safeway East Coast Distribution Center; Arts District Hyattsville (mixed-use project for EYA); University Town Center (mixed-use, transit-oriented project for Prince George’s Metro Center), Pointe at Cheverly (mixed-use project for Republic Properties and Steppingstones Development); Newton Green (affordable senior housing building for The Ingerman Group); Penn East Office Park (industrial/office complex for Osprey Development); Hillel at the University of Maryland; and the Friends Community School. His current projects include development of the Cafritz Property in Riverdale Park, a 37-acre, mixed-use development that includes the first Whole Foods Market in Prince George’s County; a major expansion and modernization of the MedStar Southern Maryland Hospital Center; renovation and redevelopment of the Seven Springs Village apartment complex; and relocation of Hillel at the University of Maryland. Mr. Taub is a participant in the Prince George’s Liaison Committee of the Maryland-National Capital Building Industry Association and is a past Chairman of that Committee. He is also a member and past President of the Prince George’s Chamber of Commerce, and served on the Committee to Revise the State Land Use Article. Mr. Taub is admitted to practice in Maryland, the District of Columbia, the U.S. District Court for the District of Maryland, and the U.S. Supreme Court. Admitted to the Court of Appeals of Maryland, the United States Federal District Court for Maryland, the Court of Appeals of District of Columbia, and the United State Supreme Court. Provides general advice and counseling regarding zoning, subdivision, and other land use issues, and develops strategies to most efficiently achieve clients’ goals. Represents clients before the Zoning Hearing Examiner, Planning Board, Board of Appeals, County Councils and various municipalities for and within Prince George's, Charles and Howard Counties regarding zoning map amendments, special exceptions, subdivisions, site plans, variances, departures and other matters relating to land use issues. Assists clients through the permit process by coordinating and resolving issues with County and State agencies, as well as affected municipalities. Drafts text amendments to the Zoning Ordinance, Subdivision Regulations and Building Code; obtains sponsors for such proposed legislation; advises County Council Members on implications of such legislation; and develops legislative and community support for such proposed legislation. Deputy Practice Group Leader of the Administrative Law and Government Relations Practice Group.